After breakfast we took a local bus for a 45-minute ride to the town of Pula. Pula is the 8th largest city in the country located at the southern tip of the Istrian Peninsula. The city of Pula has a population of about 60,000 residents, and has a long tradition of winemaking, fishing, shipbuilding and tourism. It has also been Istria’s administrative center since ancient Roman times. 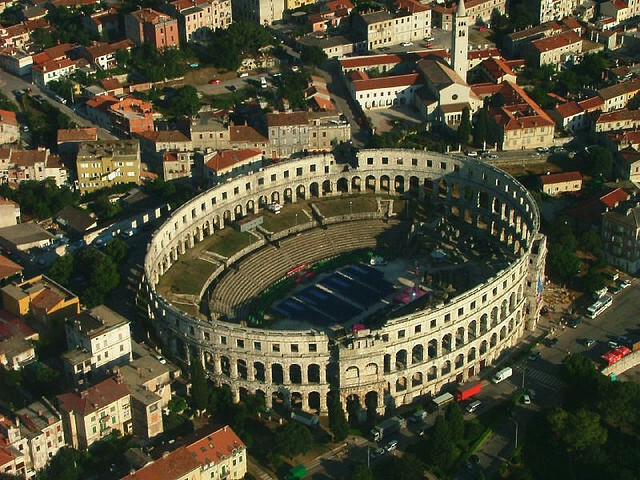 Between 27BC and 68AD, a great amphitheater called the Pula Arena was constructed, much of which is still standing today. 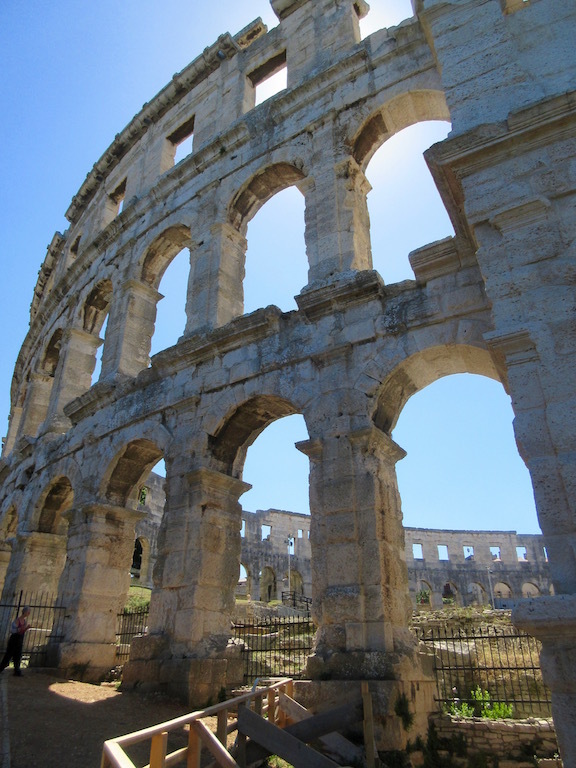 The arena could host up to 23,000 spectators for gladiator fights with live animals. 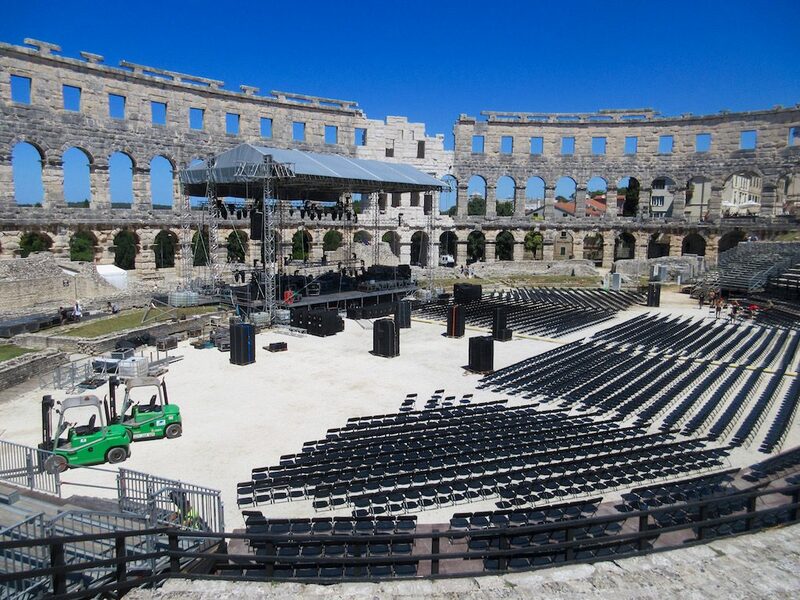 The Pula Arena is among the six largest surviving Roman Theaters and is still in use today during summer film festivals and concerts. We did an audio tour of the arena where we heard about the history of the arena. 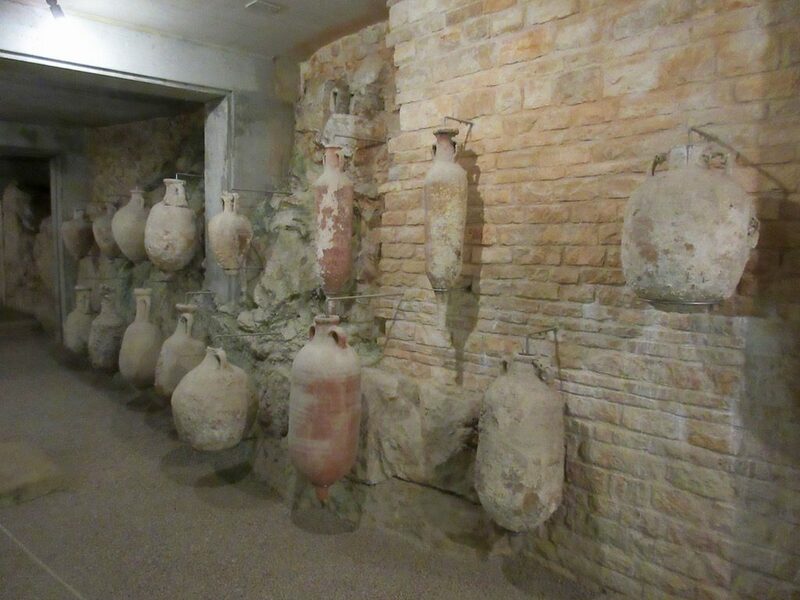 The Romans also supplied the city with a water supply system and a sewage system…..lots of tunnels underground. The Romans also fortified the city with a wall with ten gates, a few of which remain today. There were only seven of us (Nancy D, Turner, Natalie, Jan, David, Kent and Mark) who ventured down to the town of Pula for the day. The program manager, Kent Z, gave us bus tickets. After our tour of the arena, all but Kent, hiked up the hill around the Citadel to take photos of the city from the hill top. It was a warm but beautiful day with clear skies and the views were spectacular. We stopped for beers and soft drinks along the way down from the Citadel. Everyone enjoyed the time to drink and chat. 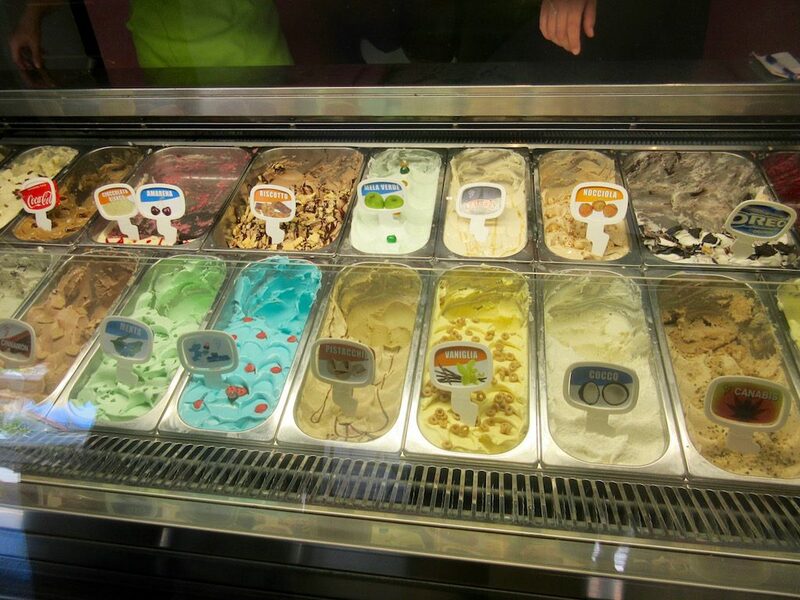 Before heading to the bus station for our trip back to Rovinj, Kent and Mark took a stroll along a great pedestrian street lined with shops, cafes, restaurants and gelato shops, of which we stopped for double scoops (5 Kuna per scoop vs 8 Kuna in Rovinj). For dinner we were invited to join 15 of our group for dinner at a local restaurant called Giannino. The owner of this restaurant is the husband of Helena who owns the local wine restaurant where we had wine tastings. The restaurant is very upscale with mostly fresh fish that was very good. They brought a platter of fresh fish to the table so you could select your dinner if you liked.